The topic of the relationship between secular and religious Jews in Israel is an important one for anyone who wishes to have an even cursory understanding of Israeli politics and for those who may wonder whether a modern liberal democracy like Israel can coexist with an established religion. Unfortunately, this topic is also very poorly understood outside of Israel. 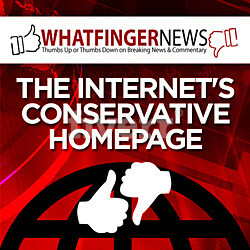 This column will attempt to serve as a guide to the searchers on this topic. First, let us establish a foundation of facts and a common vocabulary. Very nearly all Israeli Jews are orthodox, meaning they are neither Reformed nor Conservative. These two branches of Judaism are native to the US and all attempts to transplant them to Israel, outside of a few small and affluent enclaves, have failed. The difference, and it is a vast and important one, lies in the level of religious observance, which varies on a continuous scale from nothing to everything and beyond. While the observance scale is continuous, there is a bright line, which is defined by two foundational items: the Sabbath and the dietary laws known as Kashruth. Simply put, if you turn on the lights between Friday night and Saturday night, you are non-religious in Israeli parlance. The same can be said about you if you don’t have a separate set of dishes for meat and dairy in your home. The opposite is true as well. If you observe the Sabbath and the dietary laws, you are religious. This difference is important enough to be tracked by the Israeli Government Statistics Office. According to them, the Jewish population in Israel comprises of 43% secular (though a full half of this group say that they believe in God), 23% are defined as “traditional, but not very observant”, 15% “traditional and observant”, 10% “religious”, and 9% ultra-religious or “Haredim”. Projecting the previous bright line on these statistics, we get that 66% or two-thirds of Israelis do not define themselves as “religious” or observant, while one third falls into the religious category. Another way to interpret the data is to observe that just over 20% or one-fifth of Jewish Israelis are “secular” in the true meaning of the word, i.e. do not believe in God. That is an amazing statistic for a modern country such as Israel and yet understanding it is absolutely essential for anyone who wishes to understand this unique culture. A “secular” Israeli is a young woman who goes to the beach wearing a bikini and spends the night in the arms of her boyfriend, but who, when he leaves, asks the Lord to help him make up his mind to marry her. At this stage of the discussion, it becomes necessary to further define the most misunderstood group of religious Israelis, the Ultra-Orthodox, or, as they are known in Israel, Haredim. The word Haredim literally means “anxious, fearful”. But what are these people anxious about? What are they afraid of? Their anxiety stems from their fear of transgression, of neglecting to fulfill a “mitzvah” (commandment), of which there are six hundred and thirteen. They are fearful of sinning and thus place restrictions on their lifestyles that keep them as far away from sin and as close to righteousness as possible. This has nothing to do with “Hassidim”, though most Hassidic Jews are also Haredim. In fact, many if not most non-Hassidic Haredim view the Hassidic movement with disdain and suspicion of heresy. 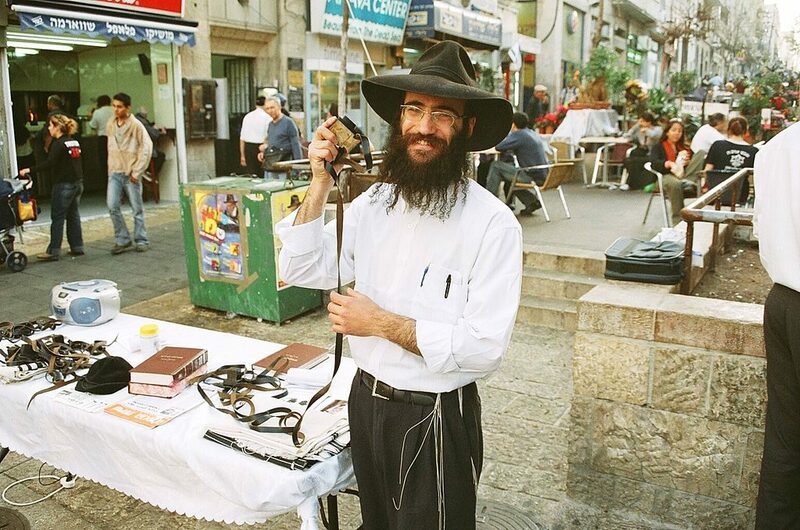 Generally, the Hassidic movement is a minority in the Israeli Haredi community. There is a segmentation within the religious community that comprises one-third of the Jewish population, a segmentation that is critical to further understanding the role that this community plays in Israeli politics. At the least-observant end are the so-called “religious-lite”; a group that behaves in almost every way as the secular two-thirds, except when it comes to the observance of most fundamental aspects of Jewish observance. This group is very interested in working together with the secular Israelis, rather than maintaining a distance form them. This is also the newest grouping of religious Jews and it has just now received political representation in the “New Right” party co-chaired by the secular-traditional minister of justice Ayelet Shaked and the religious-lite minister of education Naftali Bennett. Next, is the national-religious group. These are the religious Zionists, people who are ardent proponents of Jewish control over the entire Land of Israel form the River Jordan to the Mediterranean Sea. Many of them live in Judea and Samaria and they are represented in the Knesset by the Jewish Home party. One step further towards the religious end of the scale are the National Haredim. These are highly observant Jews, who, however, are also ardent believers, to the point of extremism and some would say intolerance, in the exclusive Jewish right to all of historical Israel. 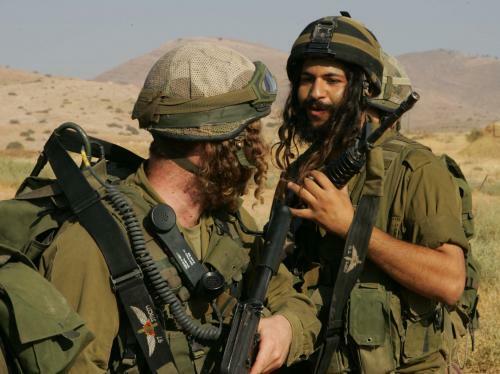 They serve in the military in a battalion that was formed especially for them and that provides them with considerations such as extra-kosher food (all food in the IDF is kosher) and avoidance of contact with female personnel. The name of the battalion is Netzach Yehuda (Eternal Judea) and it has recently been embroiled in an incident in which several soldiers and an officer form the battalion beat up Arabs who were arrested for their participation in a fatal terror act against one of their buddies. Finally, we come to the last grouping – that of Haredim. This group is ambivalent about Zionism and the State of Israel, as their fundamental belief is that Jewish political resurgence in their historical homeland can only be achieved by an act of the Almighty via his anointed Messiah from the House of David. This group participates in Israeli civil and political life, but only on a limited basis. They run and get elected to the Knesset from their own party called Torah Jewry and join governing coalitions, but refuse to serve as ministers, as they do not wish to be a part of collective decision making on issues involving security and military matters. Instead, they get deputy ministerial posts in departments that are important to their constituents, such as the ministry of health, with the tacit understanding that they would have full ministerial authority. They refuse the military draft, clinging to the old exception, negotiated between the first prime minister Ben-Gurion and the old Haredi community that existed in places like Jerusalem and Safed for centuries before the Zionist movement came into existence. Under the terms of this deal, boys from the Haredi community could defer their military service as long as they were full time Yeshiva (religious seminary) students and devoted all of their time to Torah study. Unfortunately, times have changed/ The Haredim, who tend to have very large families, became quite a large community and the terms of the bargain, which gives them deferral only as long as they study Torah full-time on a minimal government stipend, does not allow them to go out and join the workforce while maintaining their service exemption. This annoys secular Israelis who devote years to compulsory and reserve service and keeps a large and growing segment of the Israeli population in poverty and out of the workforce. No easy solutions exist because of the ideological objection by most Haredim to military service and because the Israeli military, which is substantially integrated between religious and secular and between males and females cannot make exceptions for the Haredim without major expense and without raising the ire of other groups in the Israeli population. 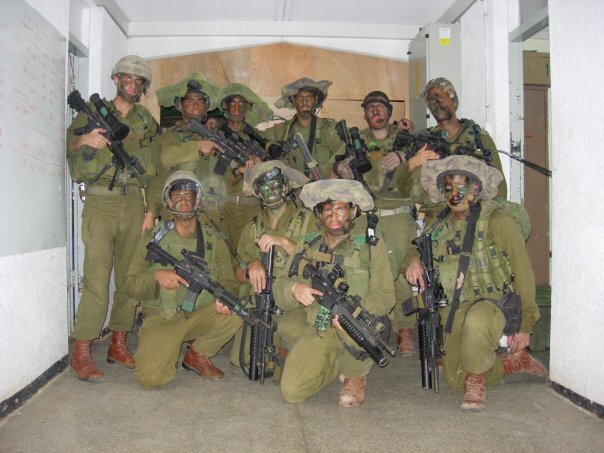 Netzach Yehuda, the National Haredi battalion is, in this sense, a pilot project, one that is having its ups and downs. It is impossible to predict what kind of solutions the future will bring, but the trend is unmistakable, realities of life in Israel, its economic success, the enormous dividends that military service pays in civilian life, but also the threat of annihilation that hangs over all Israeli Jews without distinction based on their level of religiosity or observance are pushing Israeli Jews of all stripes towards each other rather than pulling them apart. Secular Israelis are becoming more traditional, while more and more observant Jews are climbing the command chain in the IDF and in corporate boardrooms alike and more and more Haredim are participating in the life of that modern, technologically hyper-developed, liberal democracy – Israel.